Brunswick, ME - Joline B. Cloutier Mann Pequinot, 78, of Brunswick, passed away peacefully at home on Sunday, Feb. 4, 2018, after a courageous battle with cancer. She was born in Lewiston on Sept. 11, 1939, the daughter of the late Robert E. Cloutier and Delima P. (Caron) Cloutier. Joline attended Lewiston school where she enjoyed roller skating, going to dances, modeling and being an active member of the Catholic Church. She graduated in 1957. She married Ronald B. Mann in 1960 but tragically he died in a plane accident two months later. Joline then went to beauty school and opened her own hair salon. Joline married Thomas J. Pequinot in 1963 and they had 3 children, Renee, Thomas II and Rachel. They lost their first daughter Renee to complications of Cystic Fibrosis and later moved to New York and lived there for 18 years. In N.Y. Joline attended The Katherine Gibbs Business School, helped run the PTA, and attended all her children’s sporting events and dramatic plays. She was a fierce fighter and advocate for her daughter Rachel, who also had Cystic Fibrosis. 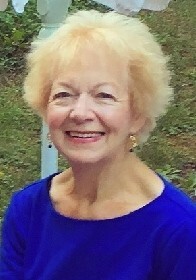 Joline was an active member of a bowling and tennis league and learned to ski. She loved hosting parties and holiday dinners. She enjoyed being back in Maine having regular pinochle games with her sister and mother. She worked in the insurance industry, for Kelly services, a local restaurant, and many years at LL Bean and was also a successful Mary Kay Consultant. She enjoyed being back in Maine having regular pinochle games with her sister and mother. Joline loved to travel with family and many groups of friends and would never say no to an adventure. She traveled throughout the United States and several other countries. She also enjoyed several cruises and enjoyed being by the ocean. She was fluent in French and spoke some Spanish. Joline and her daughter would take her grandchildren on adventures up and down the east coast, as well as 2 trips to Canada to share a bit of her French Canadian heritage. Joline took flying lessons, learned ballroom dancing, ran in (10) Beach to Beacon 10K Road Races, as well as the Casco Days Road Race. She loved daily walks with neighbors, participated in the annual Cystic Fibrosis fundraising walk. Joline was always ready to lend a hand to anyone who needed help and was a positive light to anyone who crossed her path. She lit up with pride when she was with or shared stories about her 3 grandchildren. Joline was predeceased by her parents Robert E. and Delima P. Cloutier; husband, Ronald B. Mann; brother Robert M. Cloutier; infant daughter Renee L. Pequinot; and husband Thomas J. Pequinot. She is survived by her son Thomas J. Pequinot II and his wife, Christine of Gorham; daughterRachel C.(Pequinot) Higgins and her husband, Timothy of Portland; her grandchildren Kelsey, Tommy, and Jenna; her sister Rachel D (Cloutier) Tardif and her husband, Richard, of Sabattus; brother Roger L. Cloutier his wife, Barbara, of California. She is also survived by many brother and sister in laws, cousins, nieces and nephews. A Mass of Christian Burial will be celebrated at 11 a.m. Saturday, Feb. 17, at St. Charles Borromeo Catholic Church at 132 McKeen Street in Brunswick, Maine. There will be a reception after the funeral.